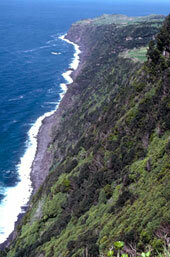 To write the history of the Portuguese Cheese Company is really to explore the history of Cheese in the Azores . While mainland Portugal produces many fine cheese, it is on the Azorean Islands that one finds truly unique and wonderful cheeses. Since its discovery in the early 15th century, the Portuguese Azores have played an important part in oceanic navigation. The Azores were a logistical point for the discovery of new worlds, a port of call for ships engaged in trade between Europe, America and India, and a place to lay anchor for the galleons bringing the wealth of the Americas back to the old world. The Azores located 900 miles from the coast of Portugal and 2,000 miles from America , became a bastion of Portuguese power protecting lines of communications to its newly discovered lands. The Azores quickly became known as the gem in the Atlantic for ocean travelers and even with the advent of air flight the great role of these islands in the twentieth century did not diminish. The charm of the Azores , in particular the countryside, is a result of it´s extraordinary diversity; the joy of the perfect land, sea and sky, in a constant game of colors and variety. The archipelago consists of nine islands divided into three groups, the two most western islands Flores and Corvo, the central group of Faial , Pico, São Jorge, Graciosa and Terceira , and to the east the largest island São Miguel and Santa Maria . All the islands have a similarity in their rugged volcanic landscapes of cones, lava fields and hot springs . Many of the cones have disintegrated to form vast craters called caldeiras, several which now contain beautiful lakes. In the 400 years that the islands have been inhabited, volcanic activity has often changed the face of the islands; to this day small tremors are still registered daily. Over the centuries the volcanic soil has become rich and fertile and aided by the mild moist climate, supports an abundant vegetation. The islands are covered with a combination of forest laurel and juniper, hedgerows of hydrangeas, lush green fields and vividly colored flowers. The Azorians developed a brisk trade with all the passing merchant ships. The ships sought food for their long voyages; food that was both healthy and palatable. The cheesemakers of the Islands did not dissapoint. They produced the finest cheeses that ranged from fresh cheeses to be eaten while they stayed in port and aged semi-soft cheeses that could be transported long distances. For several decades the Portuguese Cheese Company has been providing quality artisanal cheeses to the Portuguese population of Southern Ontario. In 1999, the DeMelo family purchased the company and have made a concerted effort to promote and market these delicious specialty cheeses to a wider audience. 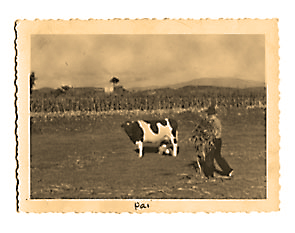 Portuguese Cheese Company has been dedicated to the art, craft and tradition of fine cheese making. Our cheeses are made with fresh Canadian ingredients while their flavours still evoke old world traditions. Hence our slogan, Portuguese Cheese with a Canadian Accent. We have a wide range of cheeses to suit every occasion from fresh cheese for simply appetizers to robust, well-aged cheese to flavour an entrée or a luxuriously creamy cheese for dessert. Wonderful tastes and textures made here and enjoyed everywhere. Enjoy. Experiment. Let inspiration show you how to bring these wonderful tastes into your home and add another accent to your life!